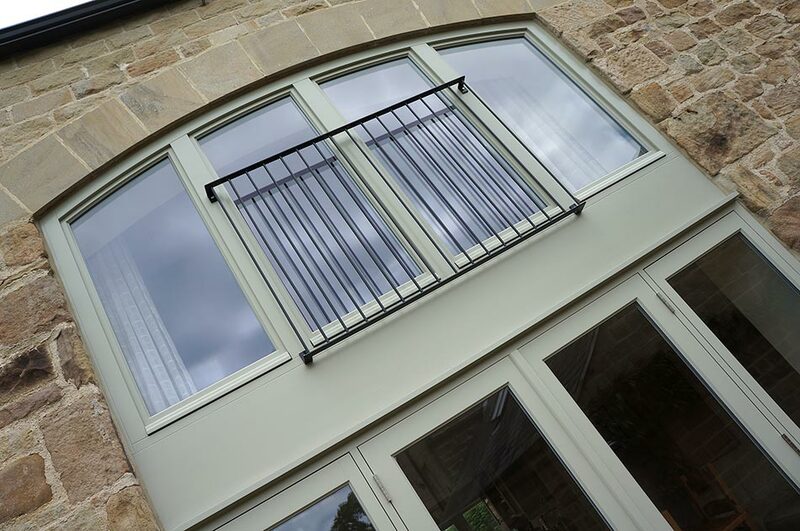 Our advanced manufacturing techniques allow us to emulate these special features whilst incorporating modern seals, thermally efficient double glazed units and ultra secure locking systems. 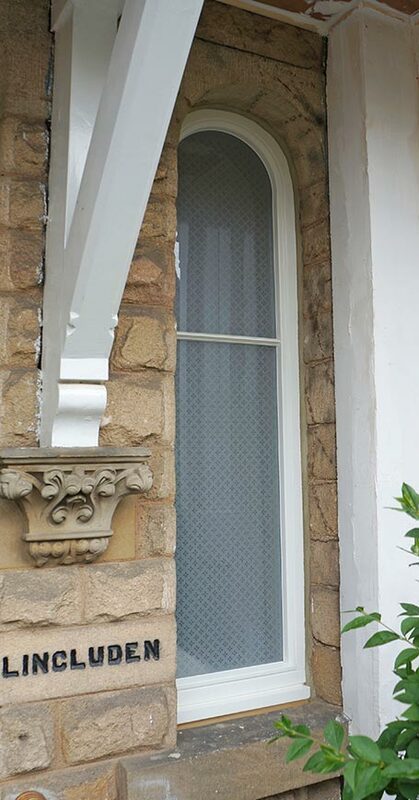 Although not particularly common, round windows are a feature in many homes across the North. Choose from our fixed porthole window or our pivot version which allows much needed ventilation to your home. 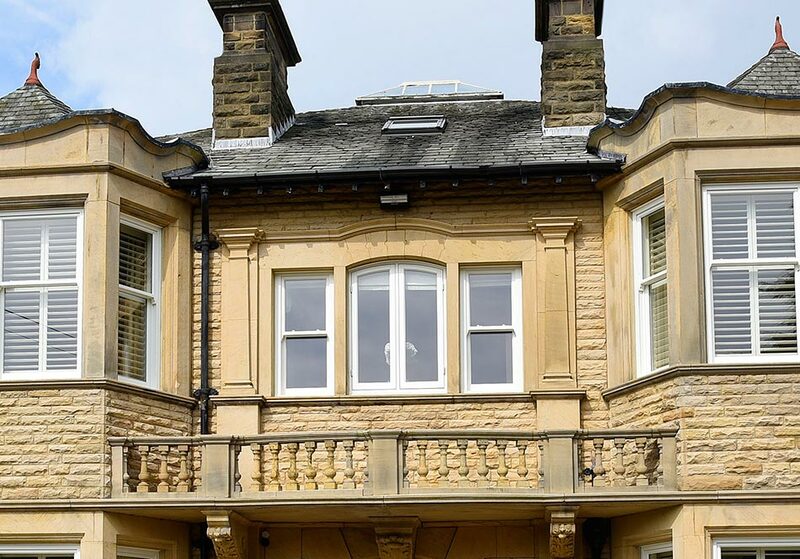 Often found in gable ends, porches and dormer returns, our full range of sash and casement windows can be raked to any desired shape. Incorporating opening windows or lights is perfectly possible, just ask one of our team. We’ve seen all sorts over the years, but if you have something entirely different to everything else out there then just ask, we’ll be happy to advise. This door fanlight looks fantastic mirroring the shouldered stone. You don’t have to have an arched opening to create a focal point in your windows. 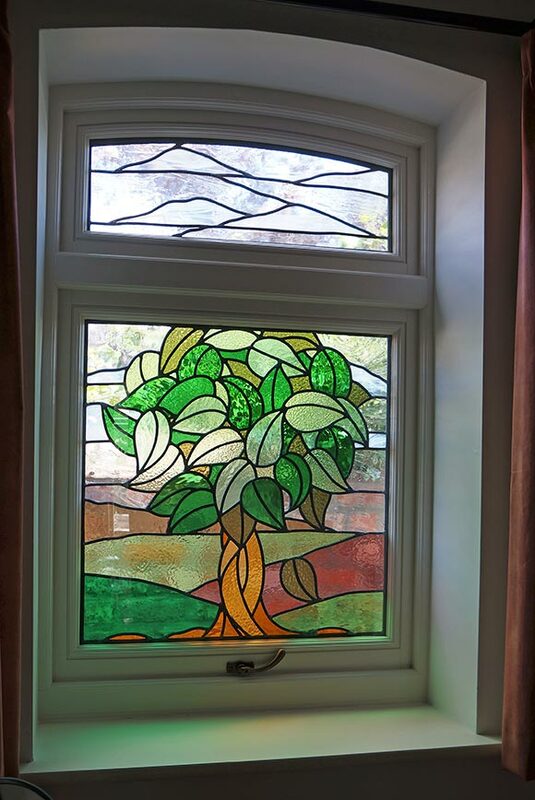 Why not include a bespoke design within the window itself. All of our window styles can be curved, swept and arched to almost any configuration.